So Iv bee a little (OK a lot) addicted to Amazon. When you dig deep into the depth of Amazon you can find some pretty amazing things. 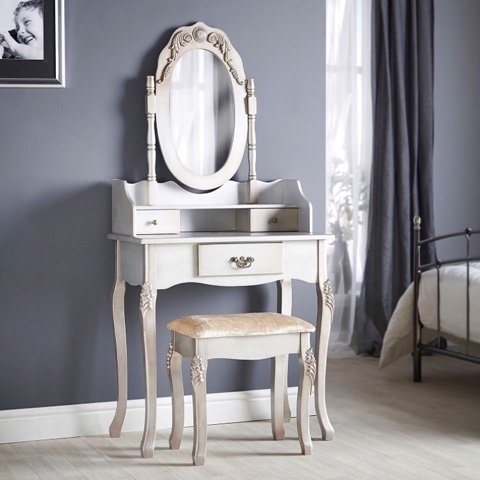 Beautify is one of Amazons little hidden gems it is a company which supplies the nose gorgeous and exquisite items for your home. 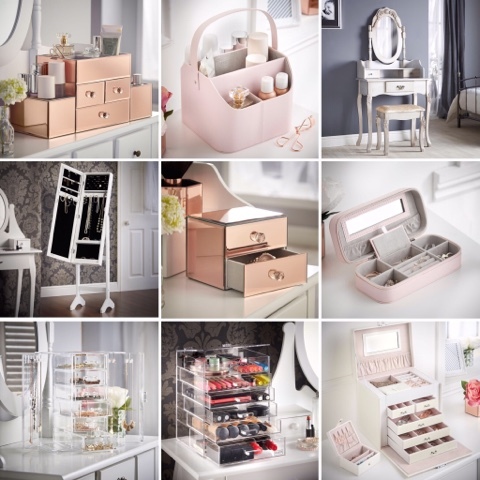 Mainly storage for makeup and jewellery but that aside I would quite happily own every single item they sell. 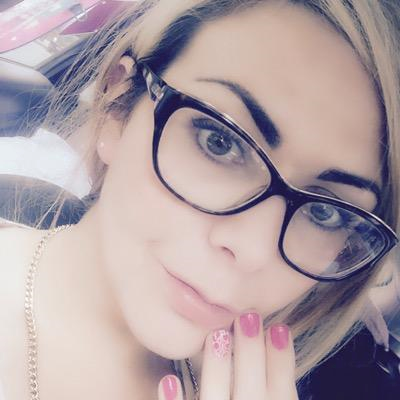 So Iv chosen my top 9 items in Amazon I covet to share with you. This is the most beautiful thing I have ever seen I can't tell you how much I need, want and desire this. 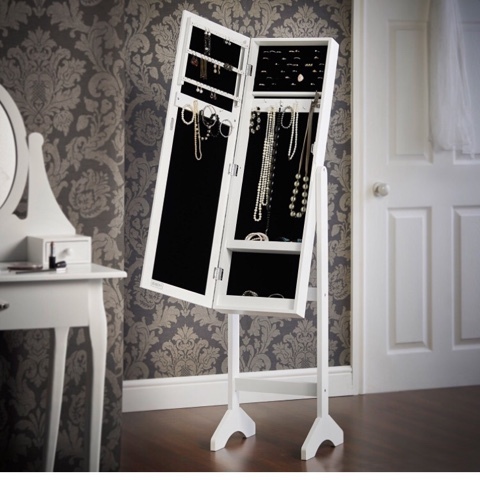 This is such a neat idea I love it every woman needs a floor length mirror and this one is extra special as it also has inside room for all your jewellery. Rose gold is one of my favourite things right now if you don't already guess. This is the most gorgeous piece of rose gold amazingness I have ever laid my eyes on its gorgeous and classy. 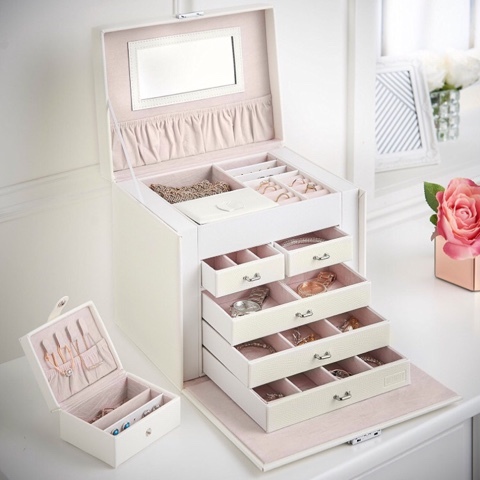 Wow this is just the desire of all jewellery lovers a 5 tier jewellery box with travel case what else could you want or need! It comes in white and black, you can also opt for 3 or 5 door options. 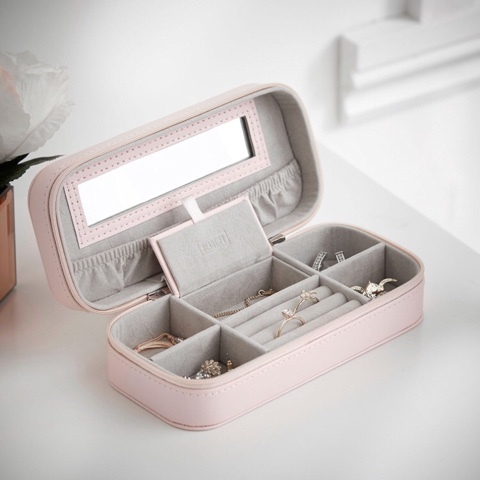 This is the cutest little jewellery box I have ever set my eyes on. 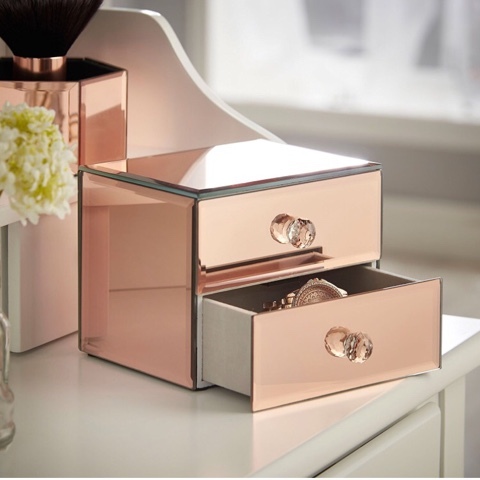 It's so beautiful beyond words and matches the other rose gold mirrored collection available. 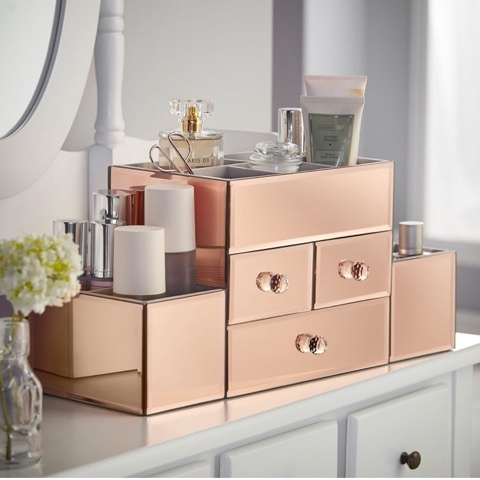 This is so beautiful and comes in rose gold mirrored and silver mirrored. 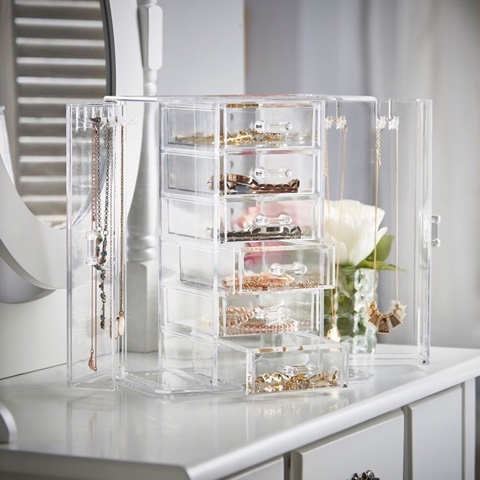 This is a really lovely new age design which will keep your jewellery beautifully organised. I love how it's clear I think it looks clean and will go with any home theme. This is perfect for the gal on the go who loves to travel in style with her top jewellery items with her. It comes in 3 colours pink, grey and white. This I want in every colour, it come in pink (pictured), grey and cream. It is so multi-functional, you can use it to store your most used products for easy use and it's easy to move about, especially of you need to travel. I am in love with this look, it's clean. You can see everything in it and it looks organised and professional. 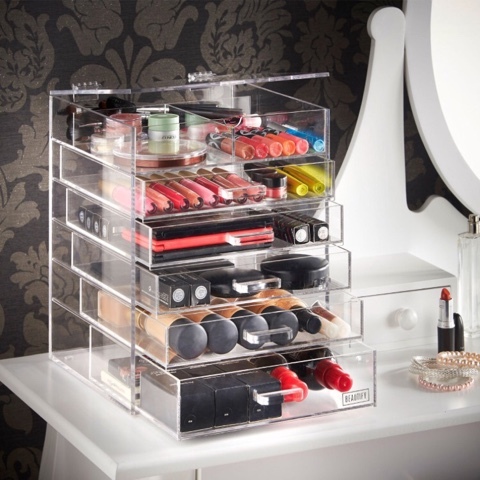 With 5 draws and a lift lid it allows you to store all you prised possessions (makeup) safety.